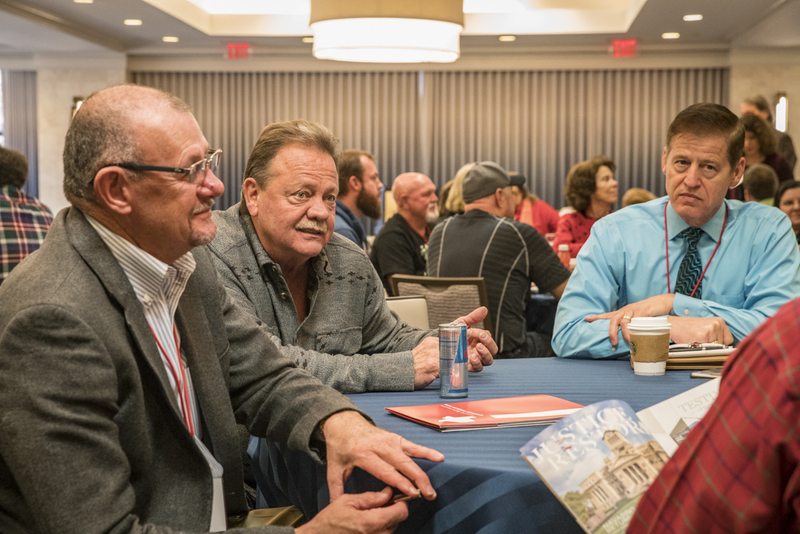 Attendees learned strategies to promote and increase visitation to historic places, and gained key insight and technical advice on design guidelines, narrative-based planning, building materials, historic theaters, and more. 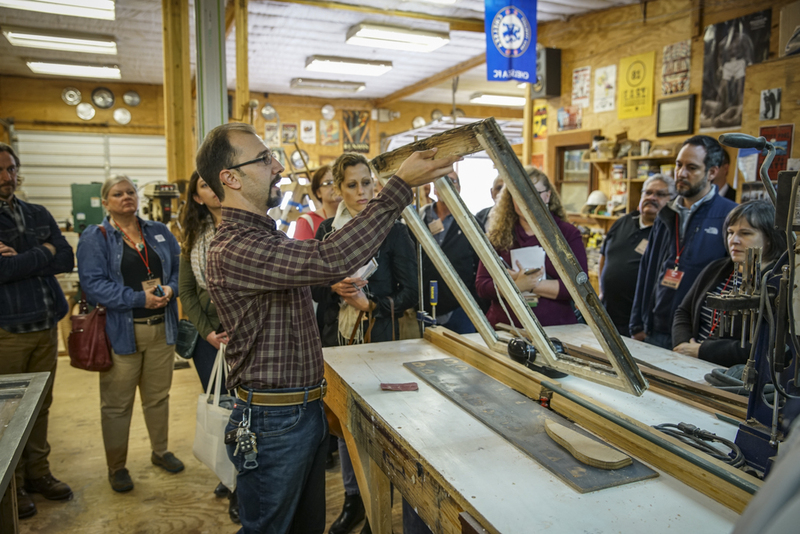 The Wood Window Workshop, which began with a presentation and discussion led by John Hindman of Red River Restorations. 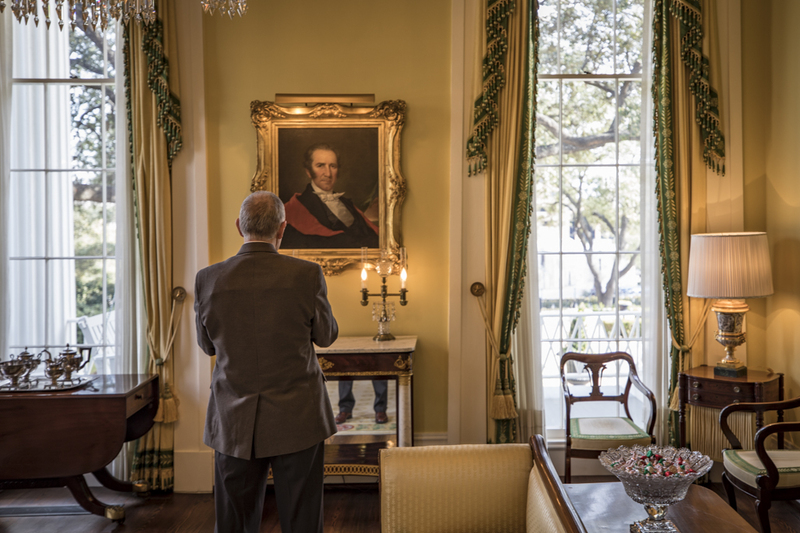 Hindman restores wood windows in Austin and the entire country, with projects ranging from private homes to historic courthouses, the Alamo, and LBJ’s Texas White House. 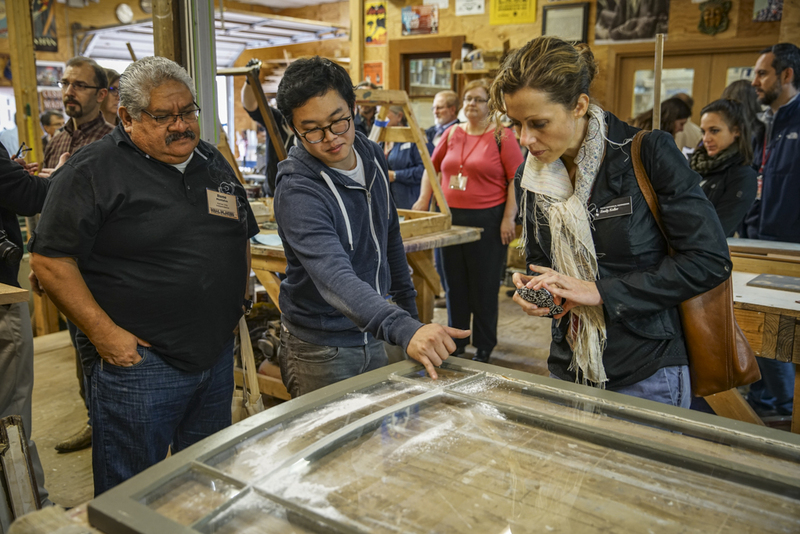 The workshop included a tour of the Red River Restorations workshop and an up-close demonstration of basic restoration techniques. 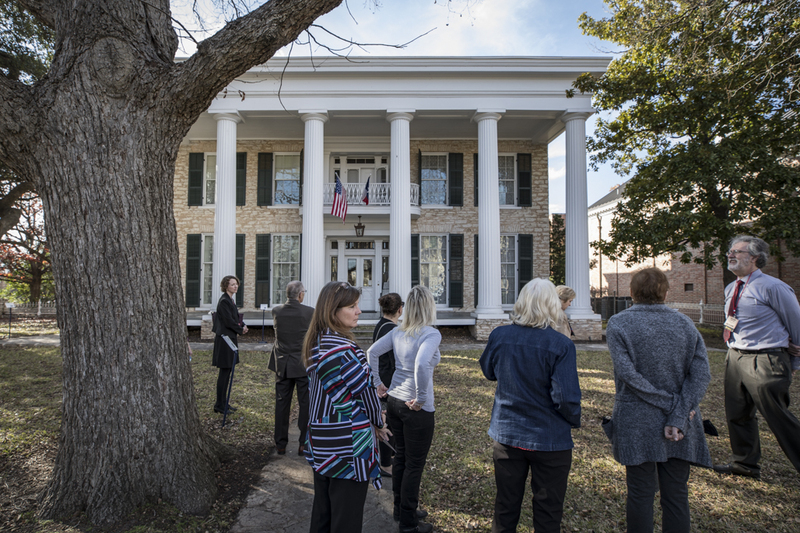 Attendees witnessed two excellent examples of Greek Revival architecture with an exclusive tour of the Texas Governor’s Mansion showcasing how it was restored following the devastating arson fire in 2008. 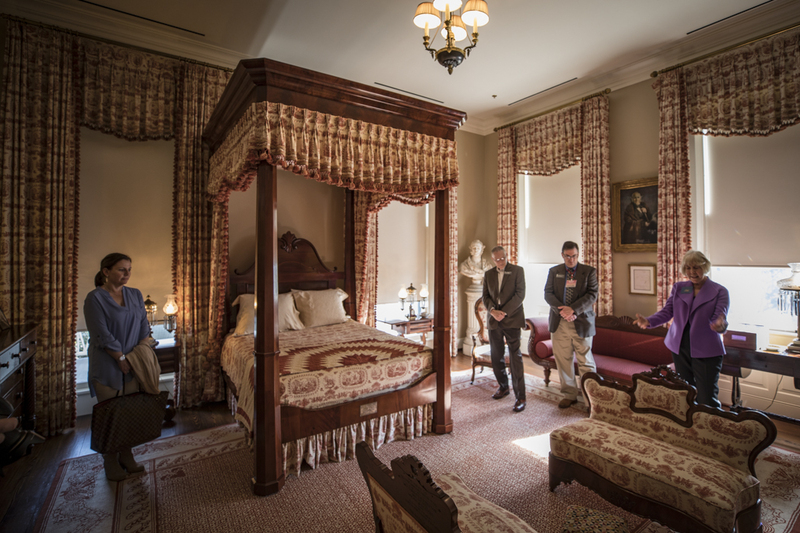 Just over a mile northwest of the Governor’s Mansion, the Neill-Cochran House Museum was also designed by master builder Abner Cook and shares remarkable similarities with the Governor’s Mansion, but its history and unique features revealed contrasting aspects of mid-19th-century life in Texas. 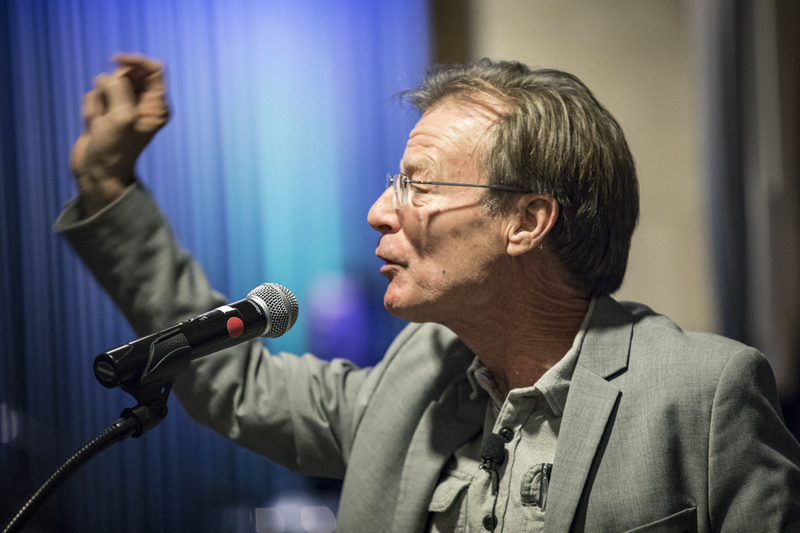 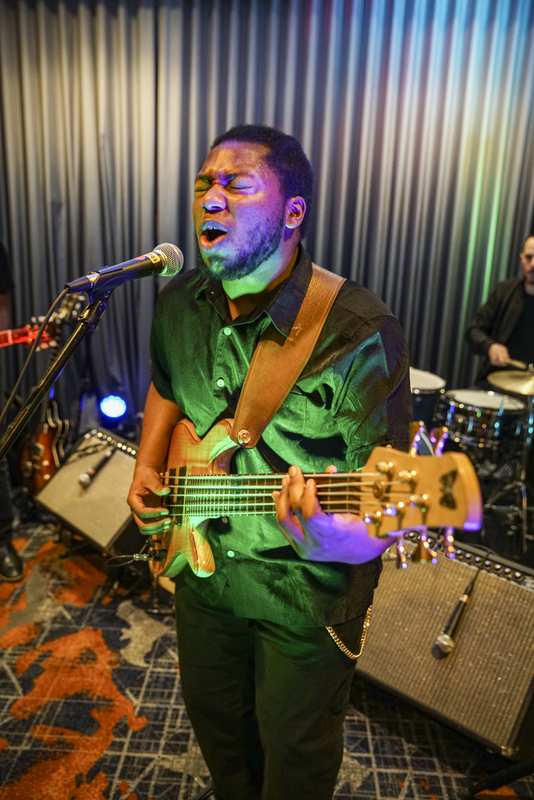 Texas writer and director Joe Nick Patoski kicked off the conference’s opening reception with a lively speech that served as a musical tour across the state. 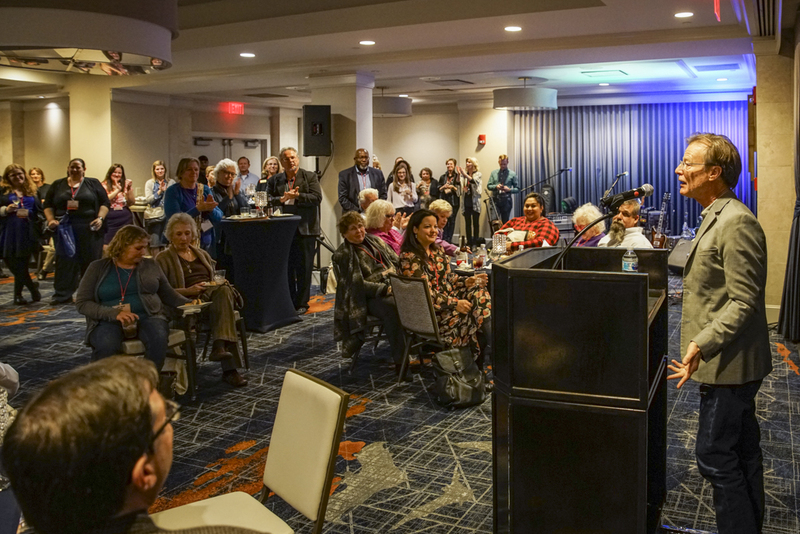 He encouraged towns to roll out the red carpet for heritage travelers and polish and preserve the places they’re seeking. 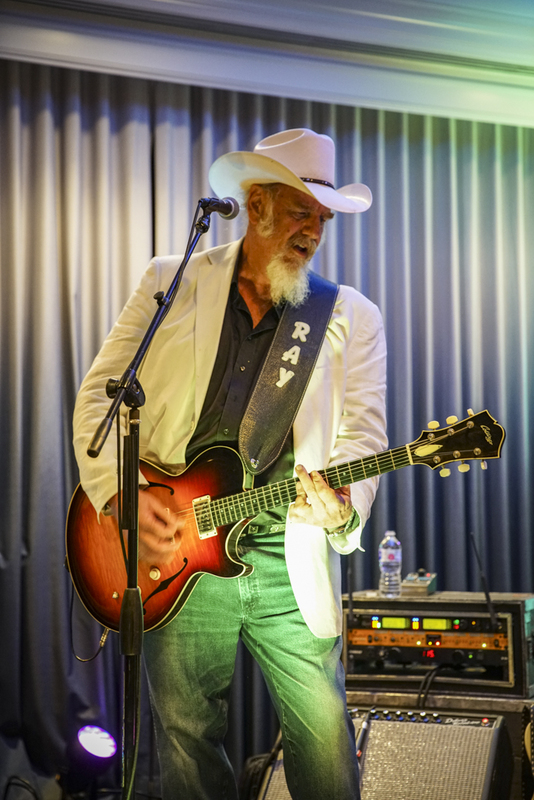 Texas music icon Ray Benson and rising stars the Peterson Brothers then took the stage for a couple amazing musical performances. 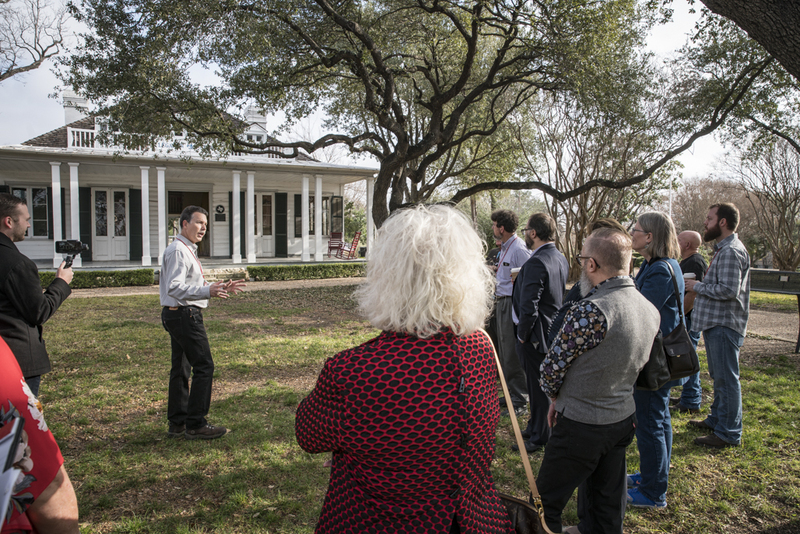 The THC’s Historic Sites Division staff hosted an insider’s tour of the house and grounds of the French Legation, our latest state historic site. 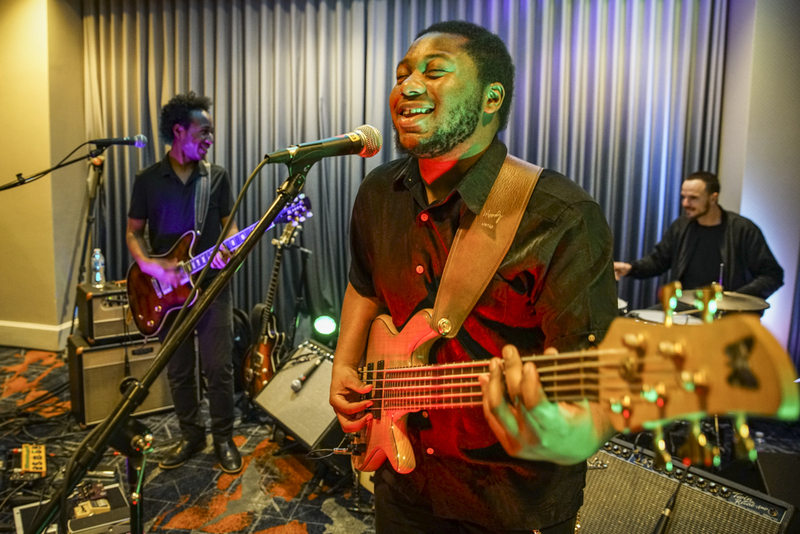 They discussed the site’s past, present, and future evolution as a symbol of Texas’ heritage and refuge for the Austin community. 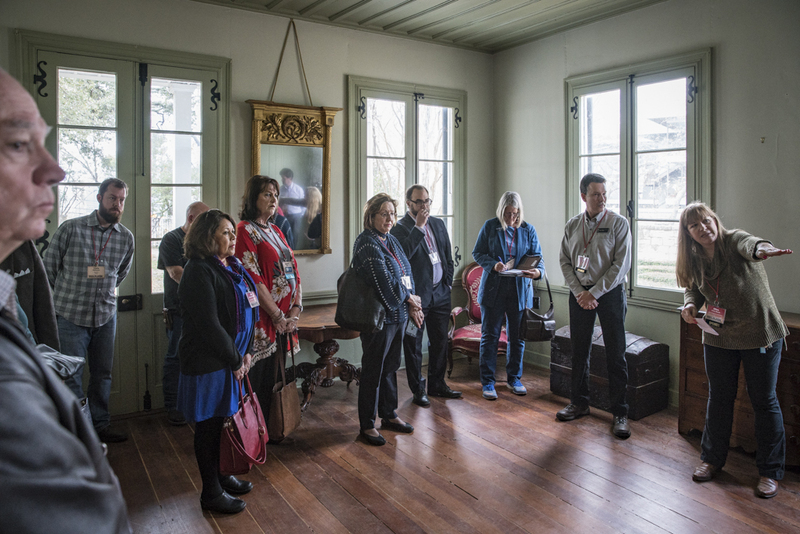 During a lunch presentation, Texas A&M professor Dr. Andrea Roberts showcased several Texas preservation projects and discussed how official heritage organizations and public agencies can better serve minority and low-income communities served by grassroots preservationists. 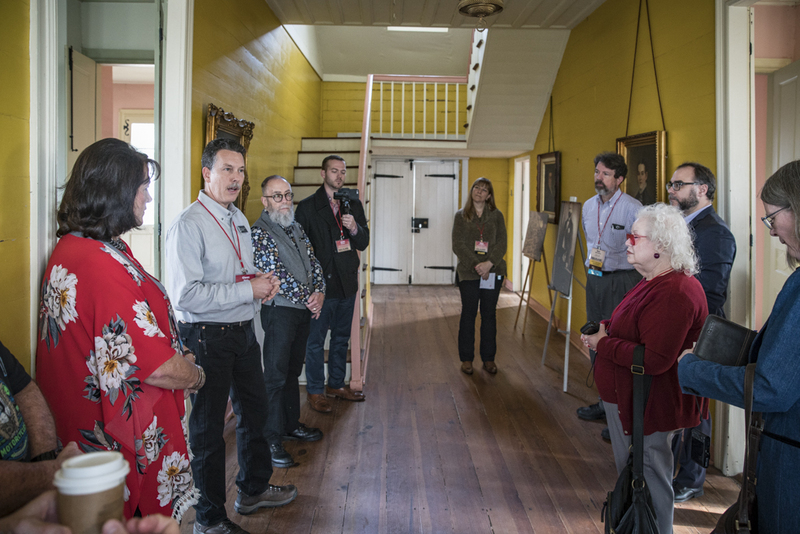 That afternoon, she led a panel discussion about how preservationists can use archives to discover undertold stories and cultural landscapes. 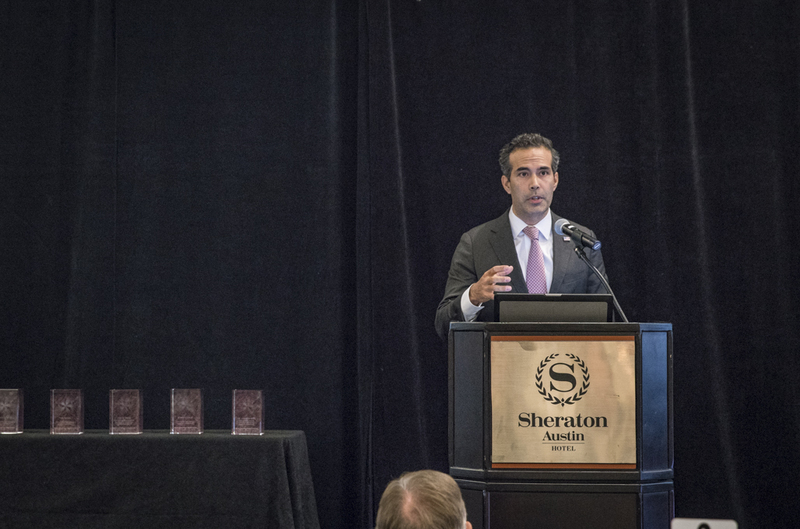 The Texas Historical Commission Awards Banquet, featuring Texas Land Commissioner George P. Bush as the keynote speaker, honored nine individuals and organizations for their accomplishments and exemplary leadership in the preservation of Texas’ historic places. 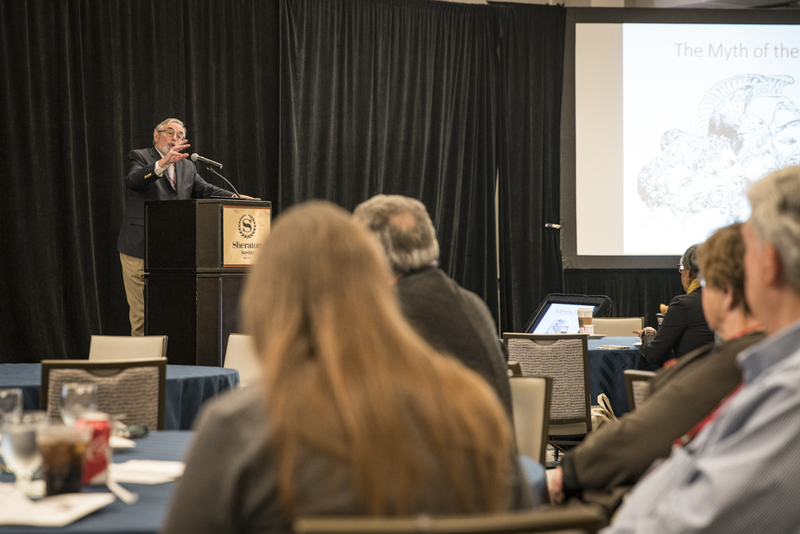 Many attendees appreciated hearing about plans for the Alamo straight from the Land Commissioner. 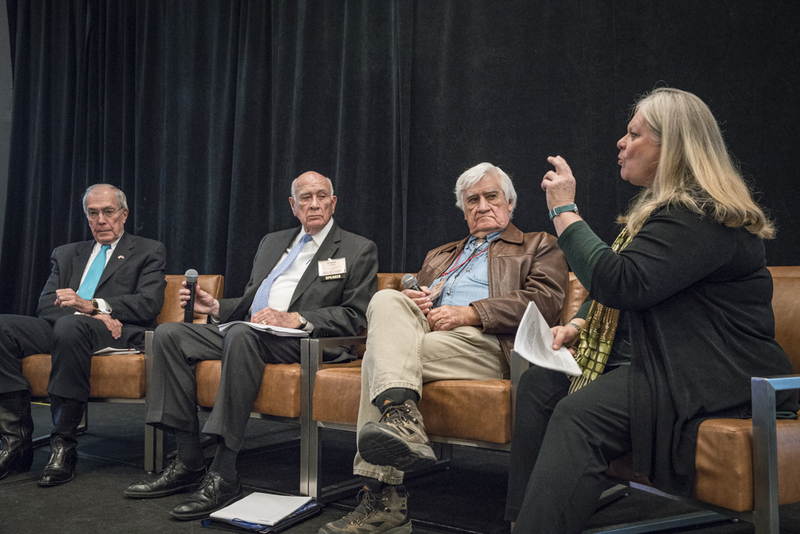 THC Chairman John L. Nau, III; Truett Latimer, former THC executive director; Jerry L. Rogers, former Keeper of the National Register of Historic Places; and Barbara Brannon, executive director of the Texas Plains Trail Region, kicked off the celebration of the 50th anniversary of the Texas Heritage Trails Program with a special commemorative session. 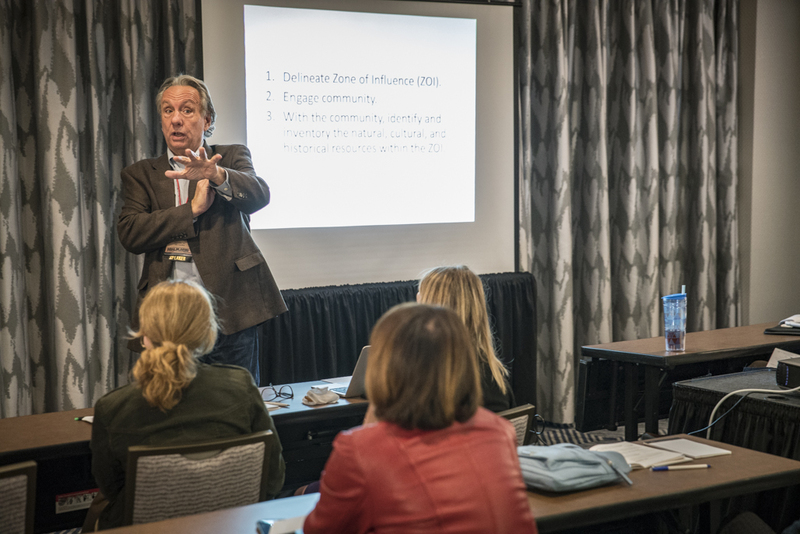 They discussed the evolution of the award-winning heritage tourism initiative from its start as the Texas Travel Trails, a series of 10 driving trails developed in 1968 for HemisFair, to today's program that drives economic development in 10 regions across all 254 counties. 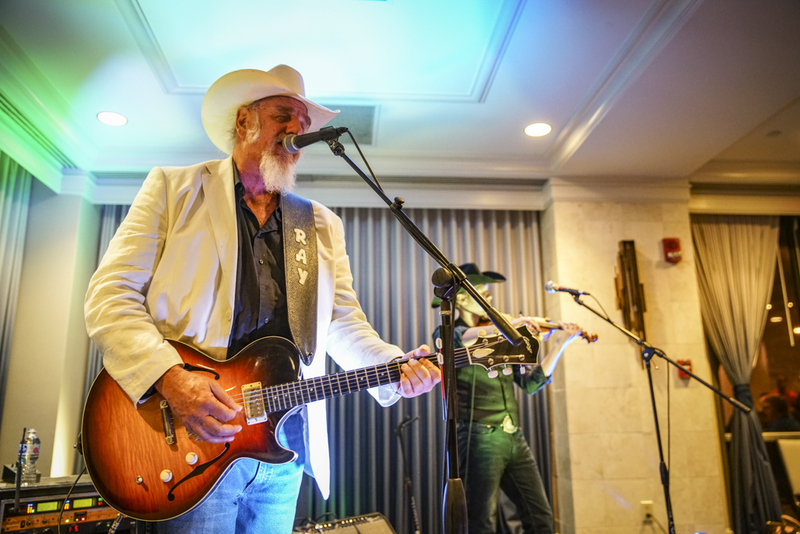 Real Places 2018 was presented by the THC in partnership with the Friends of the THC and many generous sponsors—including the Texas Land Title Association and Phoenix I Restoration and Construction. 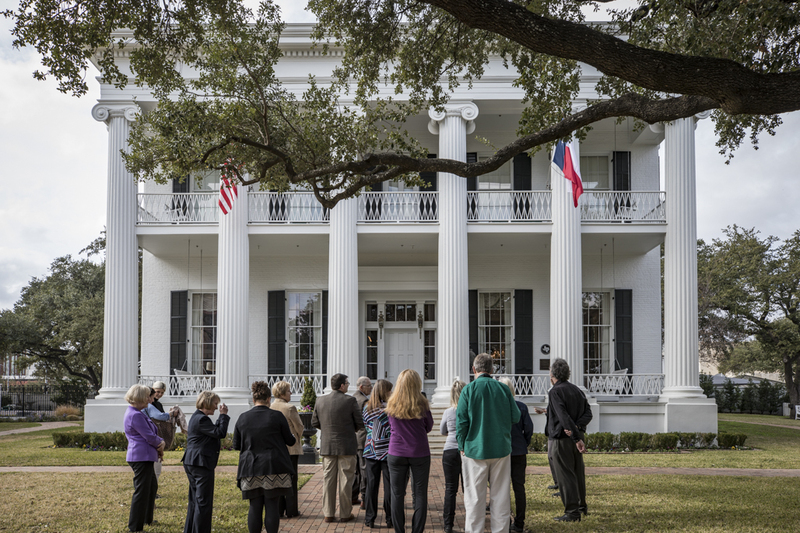 The conference focuses on historic preservation and heritage travel in Texas. 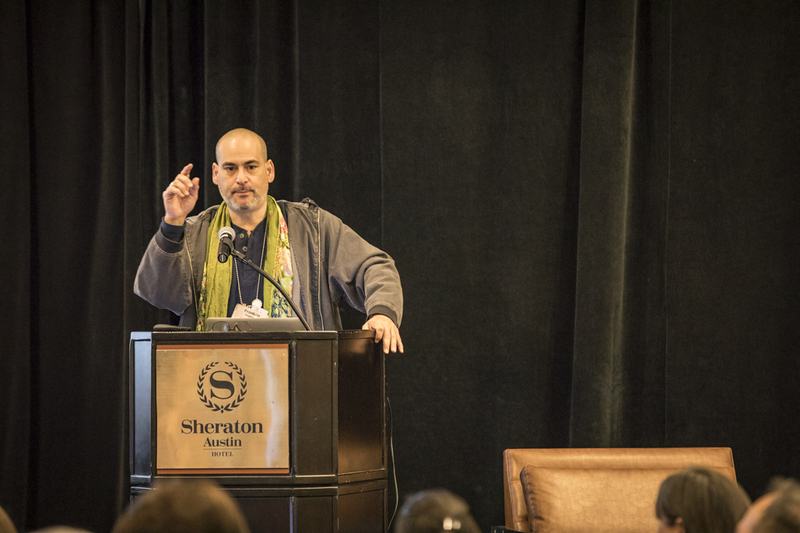 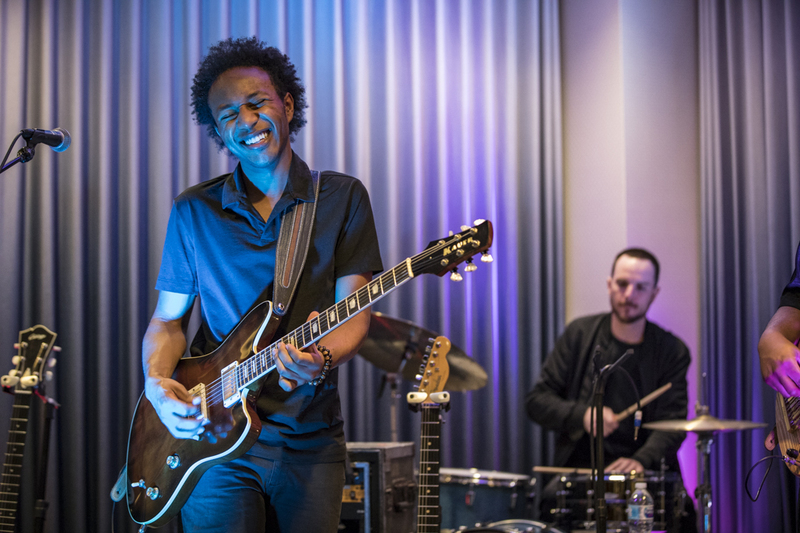 We hope to see you there next year: January 16–18, 2019 in Austin!